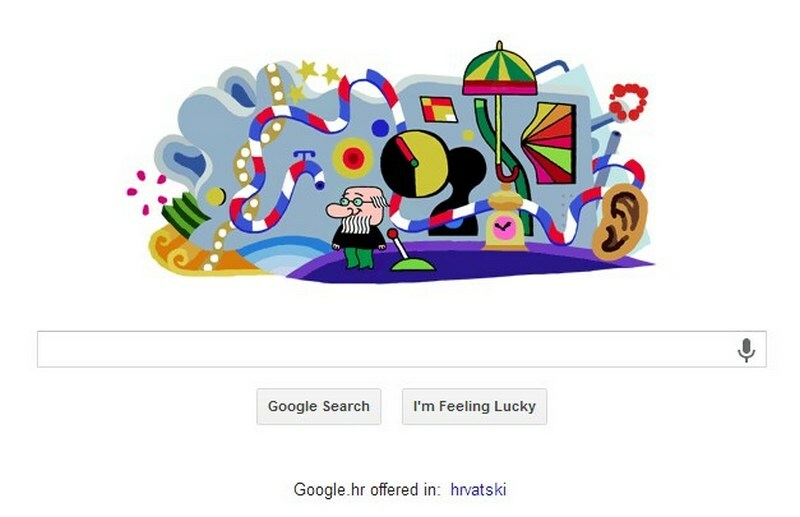 Google showed famous Croatian Professor Balthazar on its front pages on June 21st 2013, offered in hrvatski, that is, in Croatian language. Hrvatska = HR = Croatia. 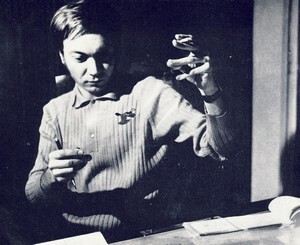 The creator of Professor Balthazar is Zlatko Grgić (1931-1988), and the name was coined by Zdravko Štalter. His name is written in Croatian as profesor Baltazar. 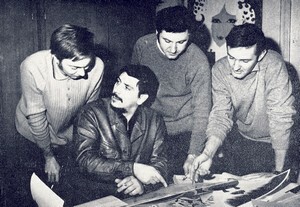 Zlatko Grgić in 1967, Zagreb, in creative mood working on Shoe Inventor - the first film from the Professor Balthazar series. The fascinating history of the Zagreb School of Animated Film (a term coined by a famous French film theorist Georges Sadoul) is described in enormous monograph prepared by Zlatko Sudarić (ed. ): Zagrebački krug crtanog filma, 1-4, Zavod za kulturu Hrvatske i Zagreb film, Zagreb 1978. (The Zagreb Circle of Animated Film: Part 1 has 462 pp, Part 2 has 243 pp, Part 3 has 355 pp, Part 4 has 517 pp, altogether 1577 pp, covering the period till 1978 only! Parts 1 and 4 contain rather detailed summaries in English.) The two photos above and below are from the monograph. About twenty people participated in the project of Professor Balthazar, and we mention just a few more names from this very creative team: Ante Zaninović, Boris Kolar, Milan Blažeković, Zlatko Bourek, and Tomica Simović - the author of lovely music. Professor Balthazar is popular throughout the world even today. The episodes have been shown with great success in many countries, like Denmark, Finland, Italy, the Netherlands, Norway, Portugal, Sweden, Iran (! ), USA, Australia, New Zealand, etc. The Professor is especially popular in Scandinavian countries.